When I look back at my favourite songs from a given year, I also check online to see what was going on in the world at that period in history - and inevitably I'll a find a list of wars, natural disasters, assassinations and accidents. But, one event from 1993 more than any other jumped out at me just now - and it was an overwhelmingly positive experience. In September 1993, the IOC announced that the 2000 Olympics would be held in Sydney. Given that the proceedings took place in Monaco, it was the middle of the night here in Sydney when the announcement was made - and I was among the crowd at Circular Quay waiting to hear the result. I've never been a massive sports fan, but it was still an amazing feeling when IOC preseident Juan Antonio Samaranch uttered those words "...and the winner is Syd-a-ney". Unlike these days, when Australia's international profile in many fields is quite high, it really felt like a victory for the underdog - and the moment would have a musical spin-off in 1994. From Scotland to Italy for another dance classic from 1993 which made excellent use of the Simple Minds album track "New Gold Dream (81/82/83/84)". As well as breaching the UK top 10, "Open Your Mind" also reached number 29 in Australia. A follow-up, "Sweat", didn't do quite as well - and seems to have vanished from my CD single collection - then that was it for U.S.U.R.A. in countries other than Italy, where they continued to score hits for some years. For every backing vocalist who goes on to be a star in their own right (Luther Vandross, Sheryl Crow), there are plenty who only get to step into the spotlight for a brief period of time and even more who never get their chance to shine. Lisa had spent the previous few years providing backing vocals for a number of acts produced by Jimmy Jam & Terry Lewis and, in 1993, released her debut solo album, Walkin' In The Sun, from which this moderate hit was taken. Her fame was fleeting, and then it was back behind the scenes for Lisa. The most unexpected hit of 1993 was the Stateside success of "That's What Love Can Do", a song produced by Stock Aitken Waterman and released in 1991 to universal disinterest. Slowly but surely, the song gained ground in the US and wound up going to number 18 there. This follow-up (the group's third single) and a full album surfaced in 1993 but weren't as popular - except among SAW fans like me, who couldn't believe their luck in getting to own an album that would likely have sat in the Hit Factory vaults for years otherwise. Starting with 1989's The Little Mermaid, animated films from Disney were suddenly hot property again - and the early '90s trio of Beauty And The Beast, Aladdin and The Lion King firmly re-establishing the House of Mouse as a leader in family entertainment. Not only were the films better than they'd been in years, but the accompanying theme songs became massive hits around the world, including this duet from Aladdin. Soul singer Peabo Bryson (who shared a name with a brand of fly spray) was fresh from the biggest hit of his career, duetting with Celine Dion on the theme from Beauty And The Beast, while Regina Belle had yet to make much of an impression on the US charts. "A Whole New World" took the two singers to number 1 in the US (and number 10 here) but effectively killed their chart careers, with neither scoring a hit beyond the end of 1993. I didn't know Michelle from her role in EastEnders, but the fact her debut single was credited to First Avenue Records piqued my interest, since the A&R team had also been behind Dina Carroll and Eternal, whose music I was already a fan of before discovering "Looking Up". Michelle's music had a similar glossy sheen and although she was never a massive recording artist, she did have a string of quite enjoyable singles. Here's someone who was definitely a massive recording artist - and who had just landed herself a lucrative new record deal in 1993. Under her contract with Virgin Records, Janet released the album also called janet and the first few of what would be an endless stream of singles. First up was global chart-topper "That's The Way Love Goes" (number 82 on this list), but my favourite track from the album was this energetic second single. Ballad "Again" (number 64) was the third and final single for the year - but the hits from janet would continue well into 1995. No one was throwing millions of dollars at Kim Appleby - and not very many people noticed when she also released a new album in 1993. "Light Of The World', the first single from Breakaway, stalled at number 41 in the UK - but it wasn't quite the end for Kim, at least as far as I was concerned. By 1993, we all knew the drill when it came to Utah Saints, who did with Human League's "Love Action (I Believe In Love)" what they'd done with Kate Bush and Eurythmics/Gwen Guthrie on previous tracks. Also in the mix on "Believe In Me" was a sample from "Do You Wanna Funk" by Sylvester and Patrick Cowley, and "You Gave Me Love" by Crown Heights Affair. They'd made a name for themselves on the freestyle music scene, but Exposé's biggest US hit had been ballad "Seasons Change", a number 1 back in 1988 - so it wasn't totally out of the blue for the Miami-based girl group to release this Diane Warren-penned love song in 1993. Still, it would be the group's final hit single and I can't help thinking that the watering down of their sound had a little something to do with that. So far, we've seen a lot of faceless dance acts on my top 100 for 1993, but here's a song released by a dance singer rather than a team of producers or DJs. Nestor Haddaway emerged from the German music scene (he was half-German, so that made sense) but soon had the world singing along to "What Is Love", a song that's never really gone away in the years since, popping up locally a couple of years ago in a flavoured milk ad. Haddaway didn't go away either - his second single, "Life" (number 40 on this list), was also successful. Here's another new artist who made a big impression in 1993. 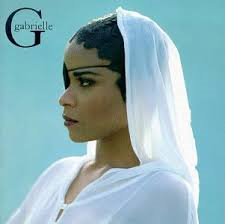 British R&B singer Gabrielle hit number 1 in the UK and made it to number 2 in Australia with "Dreams", all without a sample of "Fast Car" by Tracy Chapman, which had originally been included in the song but wasn't cleared for official release. It would be a long time before she'd have another hit in Australia, but songs like "Going Nowhere" (number 59 on this list) and "I Wish" (number 137) kept her in the UK chart throughout the year. Like Haddaway, Culture Beat emerged from Germany in 1993 and took the dance floors of the world by storm - but unlike Haddaway, this dance act had been trying to score a hit for a lot longer, with the group's first album dating back to 1989. "Mr Vain" was the first single from the Serenity album and raced to number 1 across Europe and also hit the top in Australia. Second single, "Got To Get It" (number 45 on this list) was another smash, making Culture Beat, for a brief time, one of the biggest acts in the world. In Part 4: more dance classics and the return of two of my favourite bands of all time.